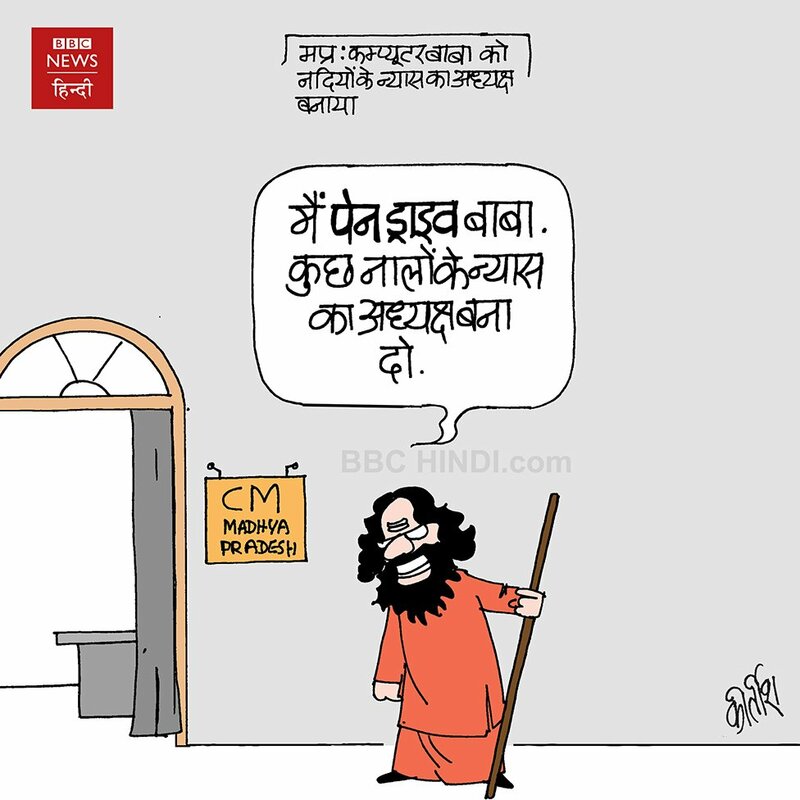 Kirtish Bhatt puns on the appointment of ‘Computer Baba’ — Namdev Tyagi — as the head of river trusts by the spiritual department of the Congress-led Madhya Pradesh government as he shows another self-styled godman, ‘Pen-Drive Baba’, awaiting his turn to to take charge of sewer trusts. 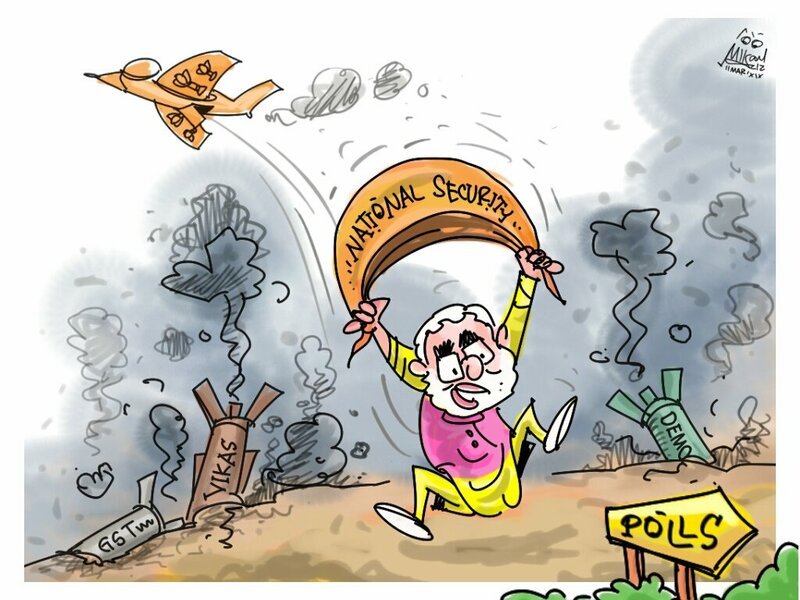 With failed policy initiatives like demonetisation and GST, Mika Aziz shows Prime Minister Narendra Modi now taking help of the “national security” parachute for a safe landing ahead of Lok Sabha elections. 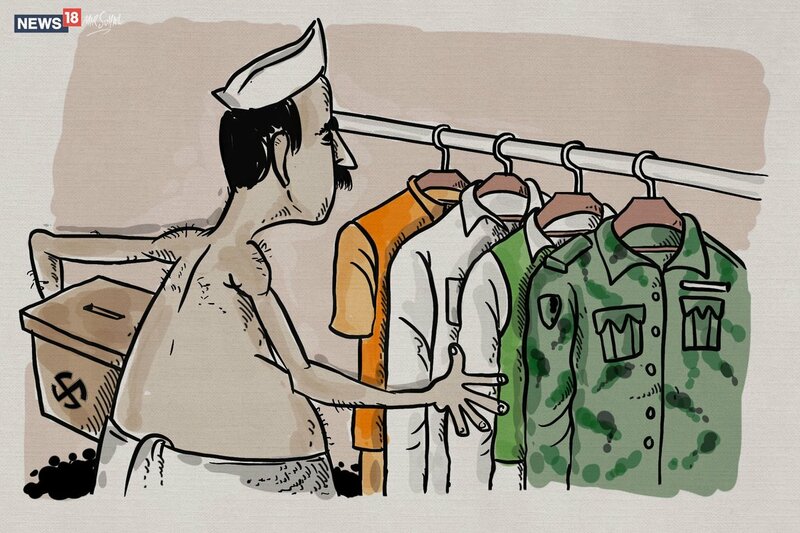 Mir Suhail offers a peek into the “campaign wardrobe” of Indian politicians as the Lok Sabha elections approach nearer — the three colours of the Indian flag and Army fatigues are seen. 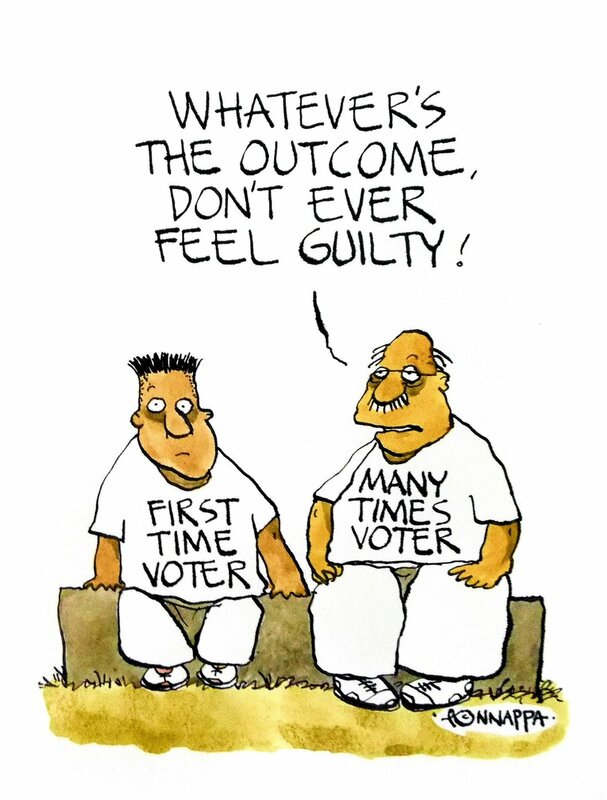 Nala Ponnappa hands out an important advice for young voters who are going to cast their votes for the first time in 2019. 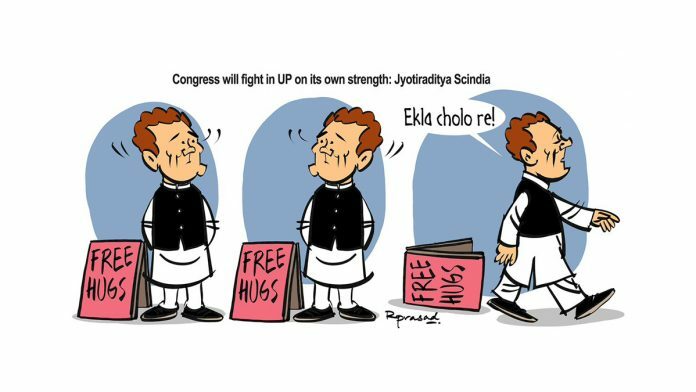 With the failure of Congress president Rahul Gandhi’s “hug” politics to win him any allies in Uttar Pradesh, R. Prasad illustrates his lonely walk while humming Tagore’s song ‘Ekla Cholo Re’ (walk alone). 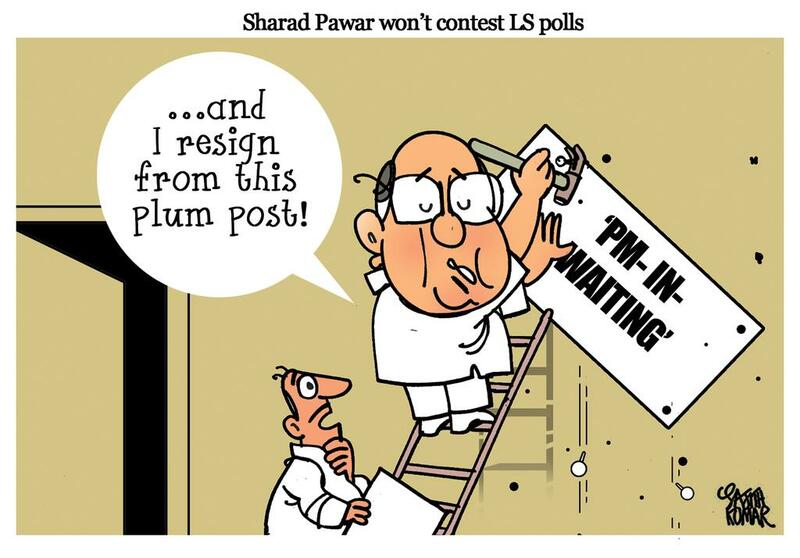 Sajith Kumar takes a jibe at NCP chief Sharad Pawar after the veteran Maharashtra leader withdrew his candidature for the upcoming Lok Sabha elections. 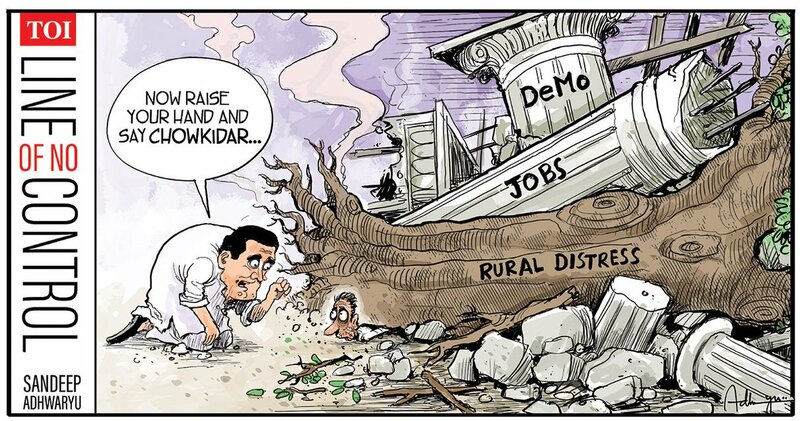 Sandeep Adhwaryu takes a potshot at Congress president Rahul Gandhi’s obsession with Prime Minister Narendra Modi as he shows Gandhi urging the common man, trapped under the wrecks of demonetisation, unemployment and rural distress, to chant ‘Chowkidar Chor Hai’. 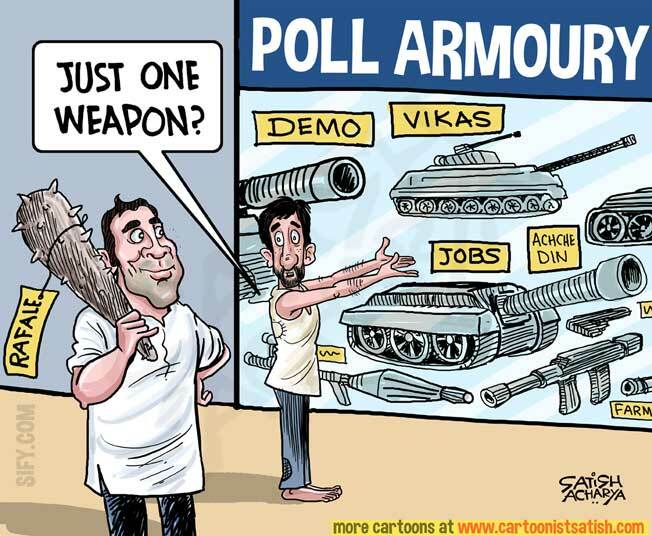 Satish Acharya also illustrates Rahul Gandhi’s fixation with the Rafale clubbell while overlooking other issues he can take up to target the Modi government. After government advertisements were stopped to some Kashmiri dailies, Suhail Naqshbandi highlights the broken condition of the journalism industry in the state.